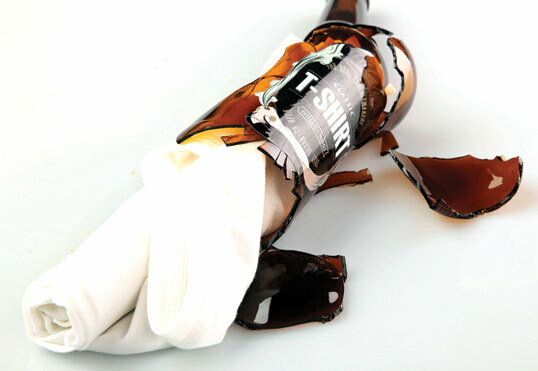 “T-shirts are packaged into recycled beer bottles, the most popular drink in underground culture. The bottles are smashed to get the t-shirt out –according to an underground practice of fighting with bottles and using them like a self-defence device. Waste of materials..extra packaging..and shards of glass would be on your shirt when you break it so you need to wash it wasting water so overall it actually uses more resources than what it saves..the design on the bottle isn’t bad though..
Nice design, nice idea, but not useful at all. I agree with Jack’s comments. How are the t-shirts supposed to be packed inside the bottles? 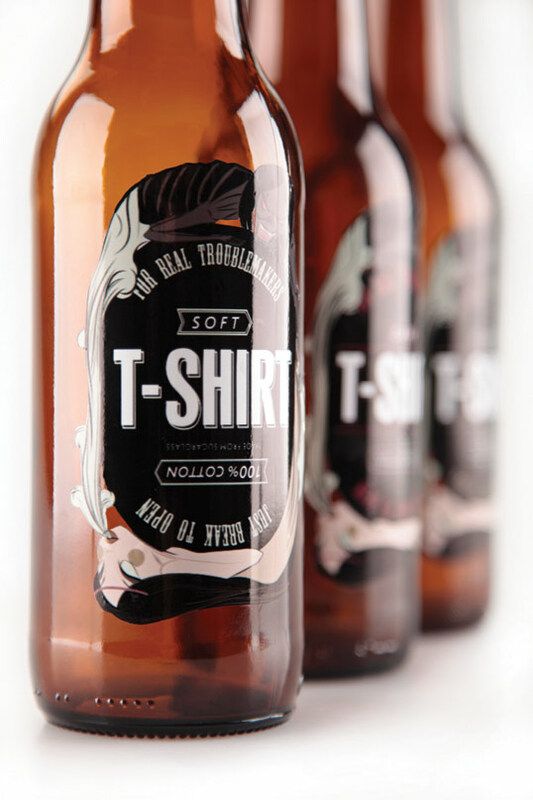 and the question remains… how does the t-shirt fit in the bottle? Yeah, I agree, it looks cool but it sounds like the worst packaging idea ever and probably also a lawsuit waiting to happen once a shard flies into someones eye. Agreed with jack’s comment, although the the glass bottle makes it intriguing, the purpose of packaging is a bit confusing. I think you could pack the shirt into a can, thus giving it the same “feel” and less waste of materials. 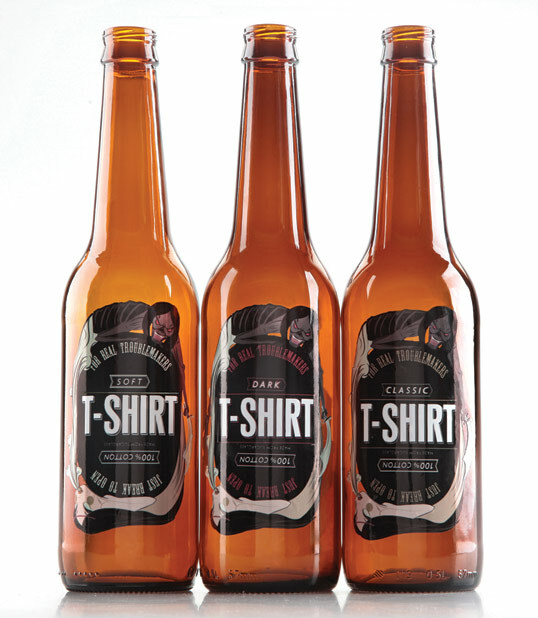 Great, but just one question: how to put the T-shirt inside the bottle? Признавайтесь, как оказывается футболка в бутылке!? The newest form of violence disfiguring young Australians is being slashed by broken bottles and glasses, “Glassing”, makes this packaging idea very scary indeed. Another concept without assessing social nor environmental issues.